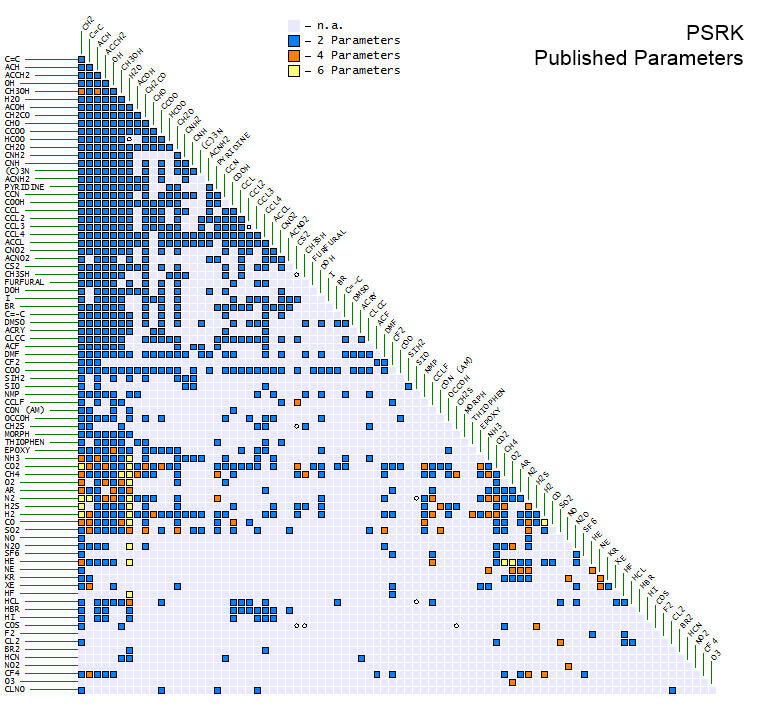 The page shows the published parameters for the PSRK model. Many new, updated, and revised parameters can be obtained from the UNIFAC Consortium. This table also shows the assignment of sub groups to the coressponding main groups. This table shows the list of main groups and the sub group belonging to every main group.